Our youngest photojournalist Josh gets ready to snap a few shots. Things have been crazy around here, but after a brief interruption, I’m back with “Toddler Photography Friday!” Zack and Josh love taking pictures, so I thought I’d kick off the weekend right and share more of their handiwork with everyone. Yes, as you’ve probably guessed, we’re obsessed with pictures around here. 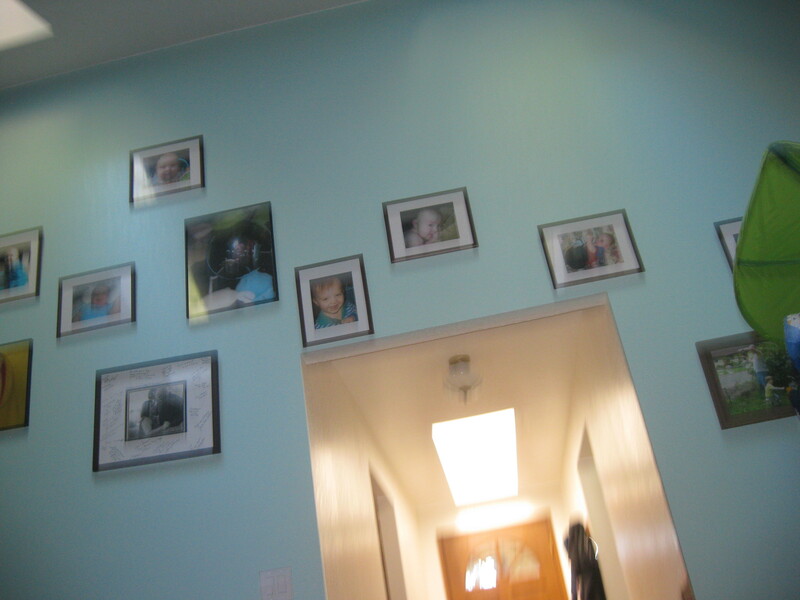 On our giant living room wall are framed pictures of the boys at various ages. Lately they’ve taken to demanding that we update our collection with even more pictures of them. I’m not sure if it’s because we don’t have any recent pictures up yet or that they are tiny egomaniacs that just want to see more of themselves. I suspect it’s the later. 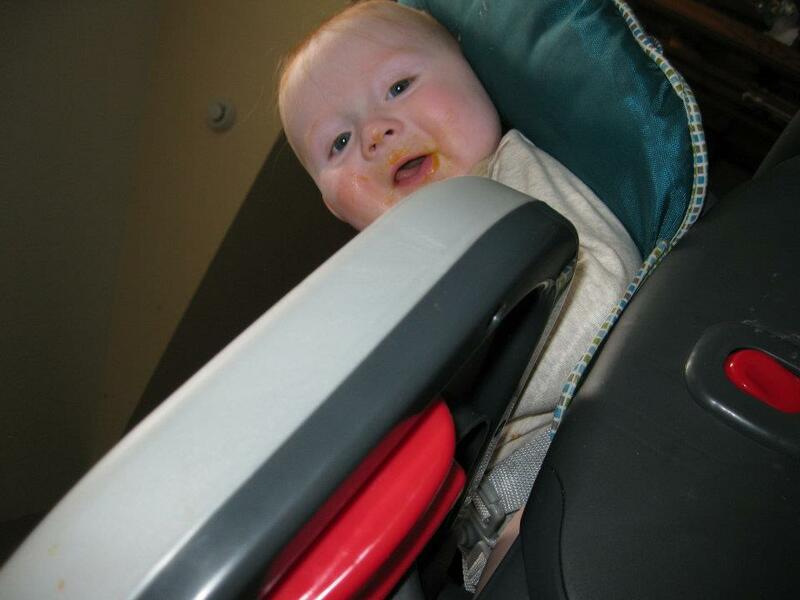 Ever the neat freak, Zack snapped this photo of his little brother Josh (7 months) covered in baby food. Unlike most children, Josh never quite outgrew this stage and continues to eat like a pig. Covered head to toe in food is his natural state. I’m just surprised he doesn’t have more of it up his nose. 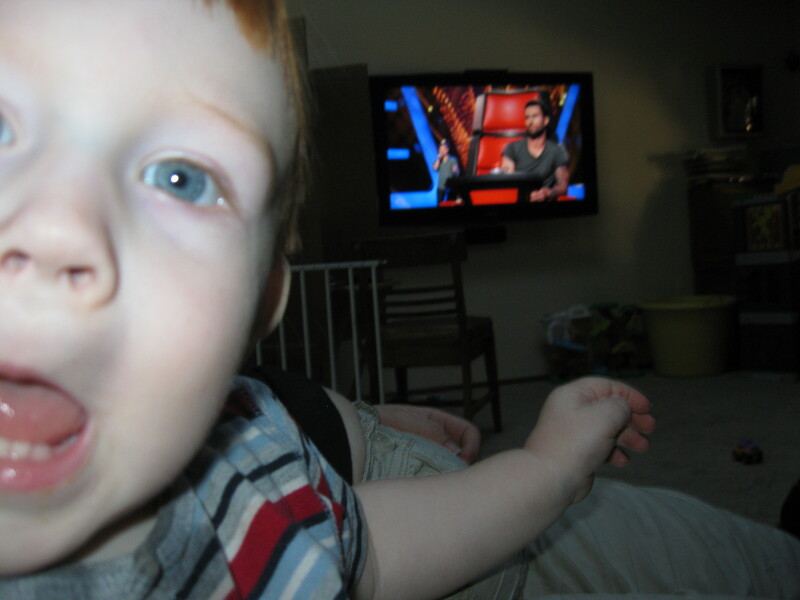 While my wife and I watch “the Voice” Josh takes a ‘selfie’ letting us all know that Adam Levine doesn’t stand a chance against the power of his cuteness. J might not have been voted People Magazine’s “sexist man”, but he sure has the ego for it. 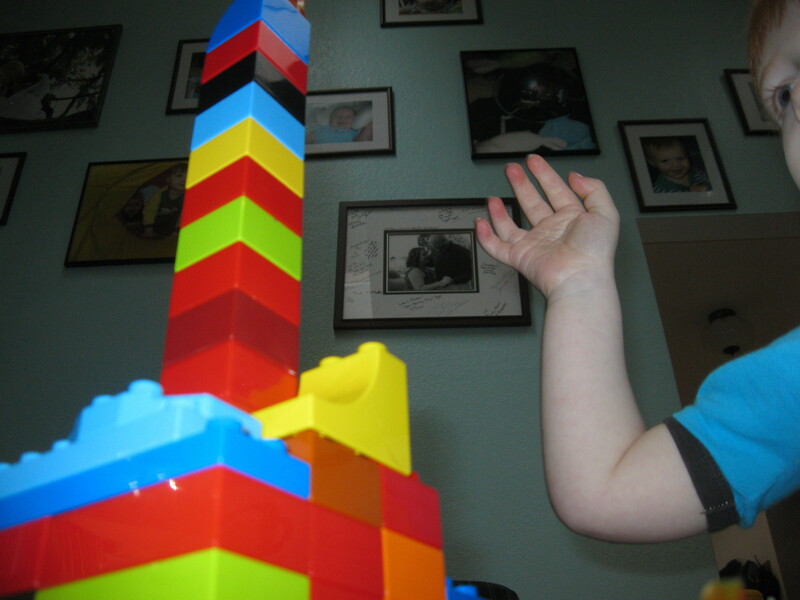 Zack captures the moment just before his little brother Josh obliterates his Lego tower. Don’t worry, since then many, many more towers have been built in its place (followed by many, many more obliterations). 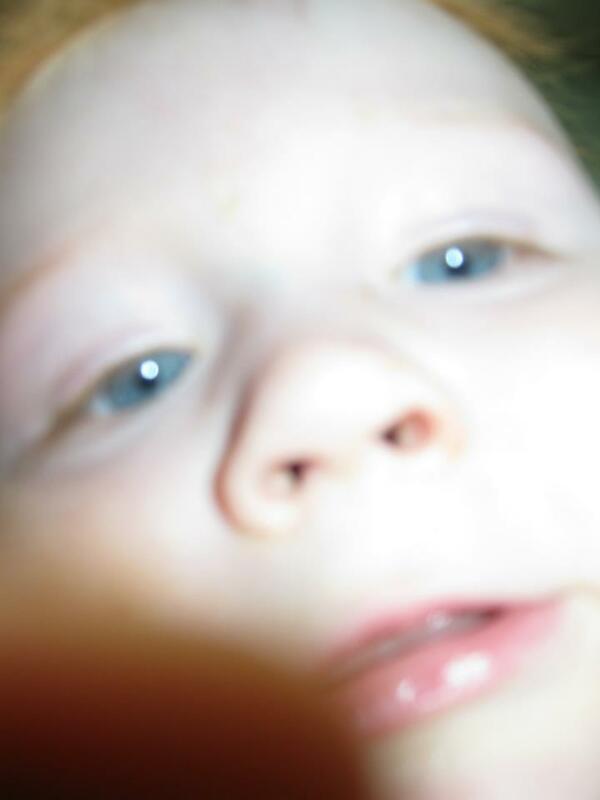 Well that’s it for Toddler Photography this week. Life has been pretty chaotic lately (blog entry about it soon), but I’m hopeful that I’ll get back to posting more regularly. Thanks for your patience. Add me on Twitter! “Like” my page on Facebook! Zack would rather take pictures than leave his Dad alone to watch the football game in peace. 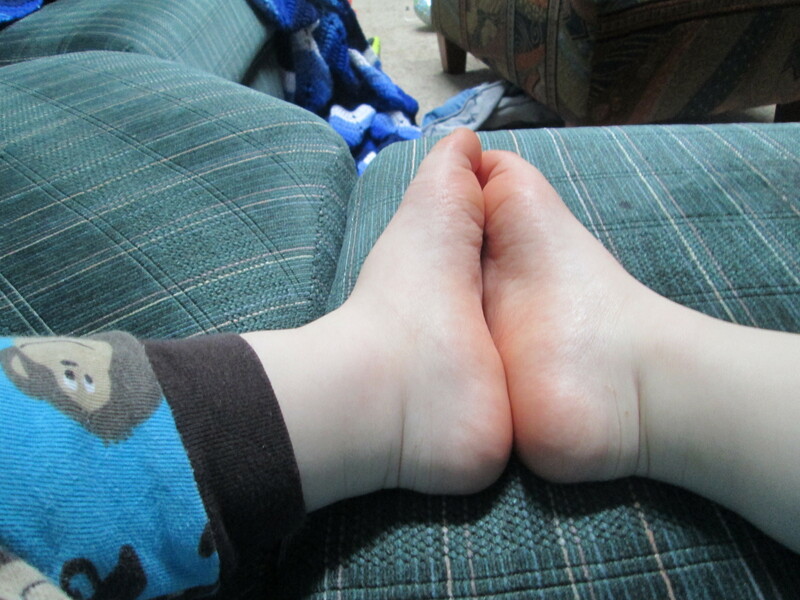 One of Josh’s many photos of his feet. He absolutely loves taking pictures of them, either by themselves, next to an object (for scale), or in action stomping on something. They seem to be one of his favorite subjects, and its convenient too since they’re always right there at the end of his legs. Anyone can take a normal vacation photo, but our kids like to do things a little differently. Why just snap a picture of your family with their heads in it when you can lie down on the floor and take pictures your great Grandma’s ankles instead? 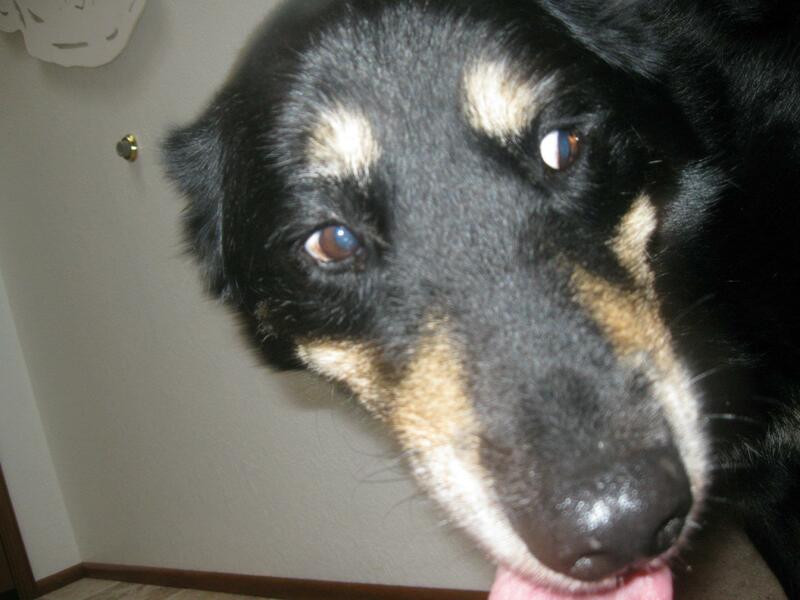 Once Josh was stable enough to stand and walk he loved to chase our old dog “Zeke” around the house. Fortunately for Zeke, Josh was rather slow and one well-placed head bump or lick would knock the toddler over long enough that he could make is escape. This time around Josh thought to document the dog slobber as it occurred. This is my daily life. 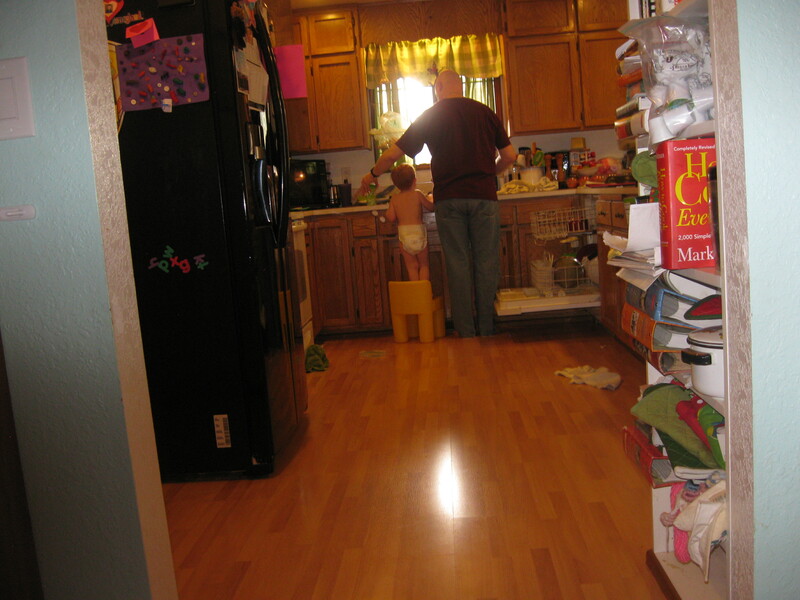 Doing daily chores with the little guys underfoot can be a challenge, but they enjoy “helping”. I just make sure to have lots of extra towels handy. Well that’s it for now. Hope you had fun seeing the boys’ photos this week. Have a great weekend! Hmmm… now where did I leave those towels? They’ve stolen my camera so often that we’ve given up and just bought a new one for ourselves. 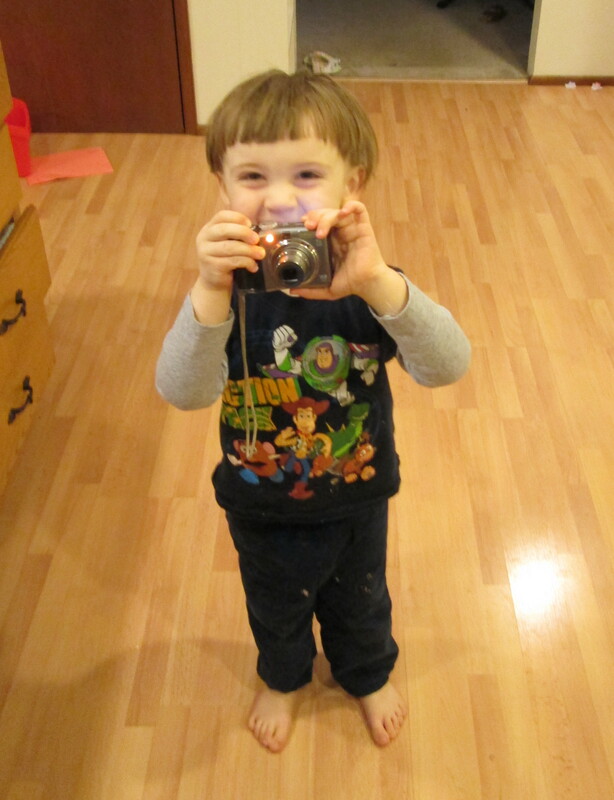 This documents the very first moment our son Josh became obsessed with the camera. 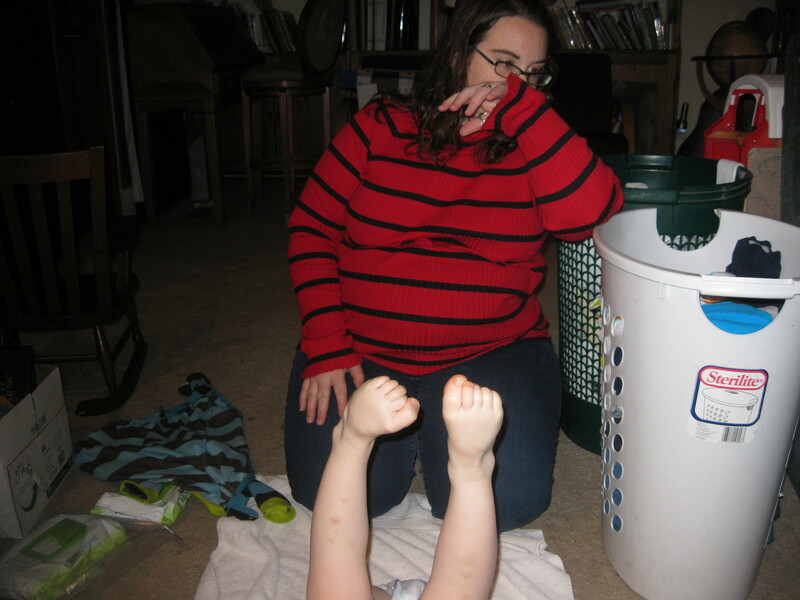 His Grandma Mary was struggling to change his diaper so we let him play with it as a distraction. Little did we know, we created a monster. Sometimes I’m totally stumped at effects that the boys have gotten in their pictures. I have no idea how Zack snapped a photo where the inside of the living room is clear and in focus, but the trees outside look like they are zooming by the window. I’m sure it has something to do with having the boundless energy of a little kid and being in constant motion while taking pictures. 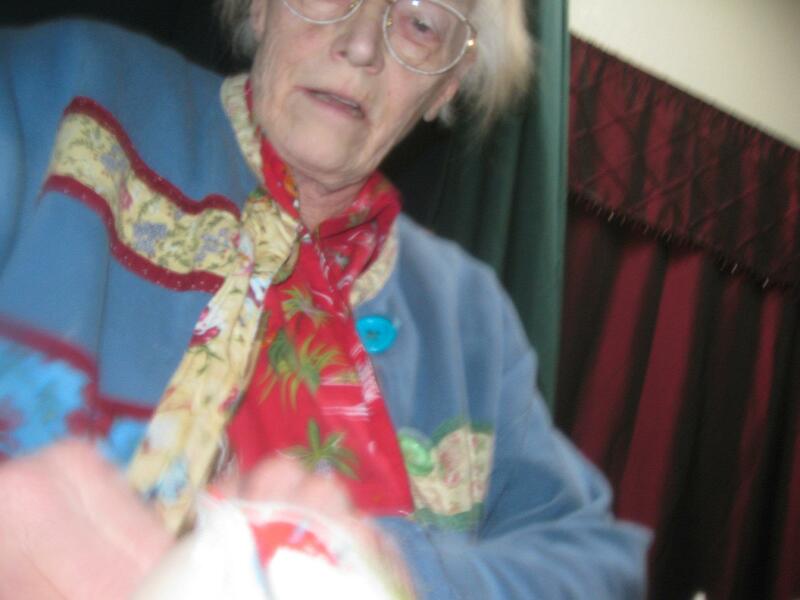 After taking his own self portrait, Josh turned the camera around and took this shot of his Grandma Mary attempting to corral an unruly toddler. 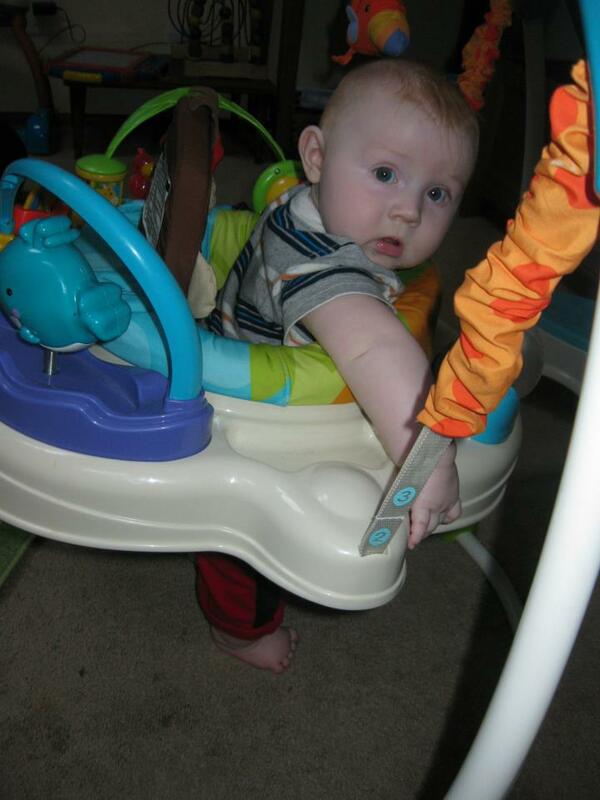 After this, Mom quite wisely opted out of having to do diaper changes ever again. Not having to deal with changing stinky butts is one of the perks of being a Grandparent after all. Zack snaps a pic of Kat’s belly. Just a month and a half away from the AJ’s due date the boys are getting anxious to meet their new little brother. I think it’s a combination of that, and they are looking forward to Mommy getting her lap back so they can sit on it again. That’s it for now, more toddler shots next week! Zack and Josh take a break from running around like crazy people to take a few pictures. 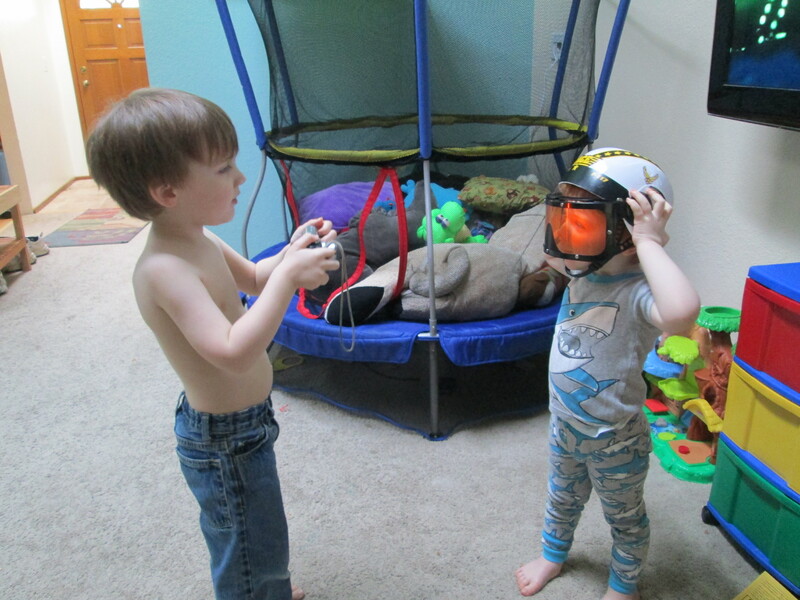 It’s Friday, so that means another post filled with pictures taken by my camera obsessed kids. The boys have stolen the camera so often that I gave up keeping it away from them and just bought myself a new one. 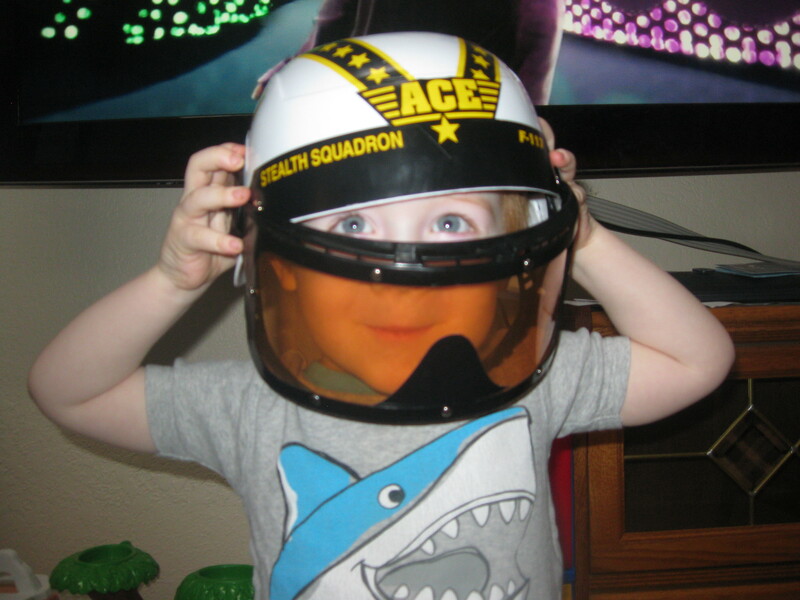 Sharks + Spaceship Captain combined with a cute redhead… Josh Husted: the Bermuda triangle of awesome. 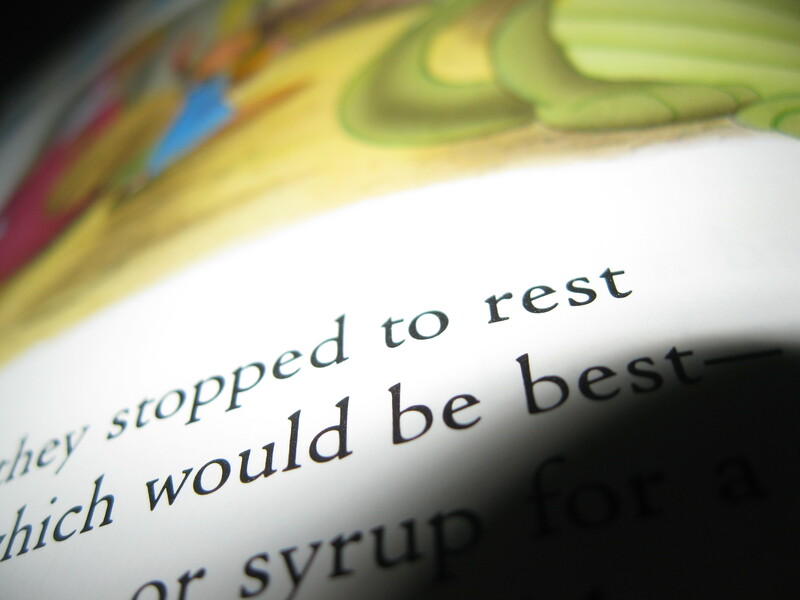 These words, taken completely out of context, still makes an interesting sentence: “They stopped to rest, which would be best… or syrup”. Then again, maybe I’m just hungry for pancakes. Zack is a morning person, Josh is decidedly not. 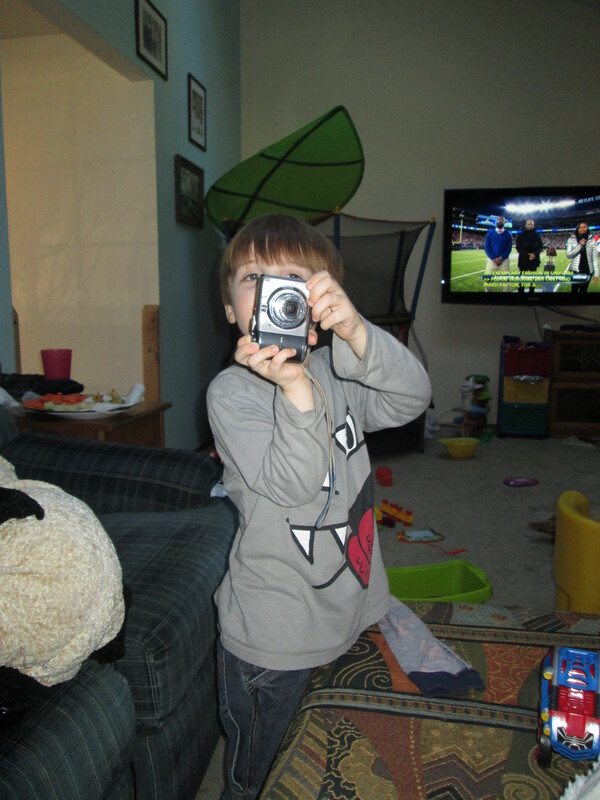 After being rudely awoken by a crazed older brother armed with a camera flash, Josh turns the tables by stealing the camera and firing back. 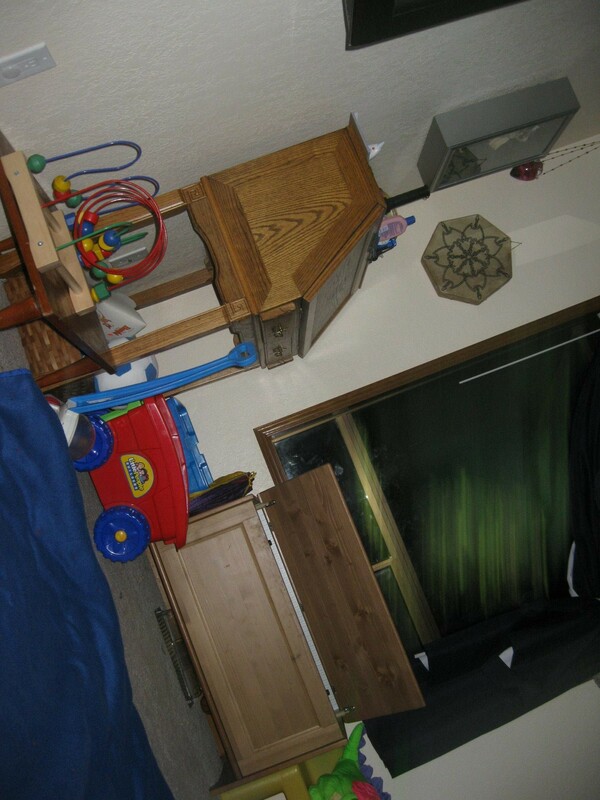 By the time I got there to intervene Zack had retreated back to his own room and Josh had gone back to bed. 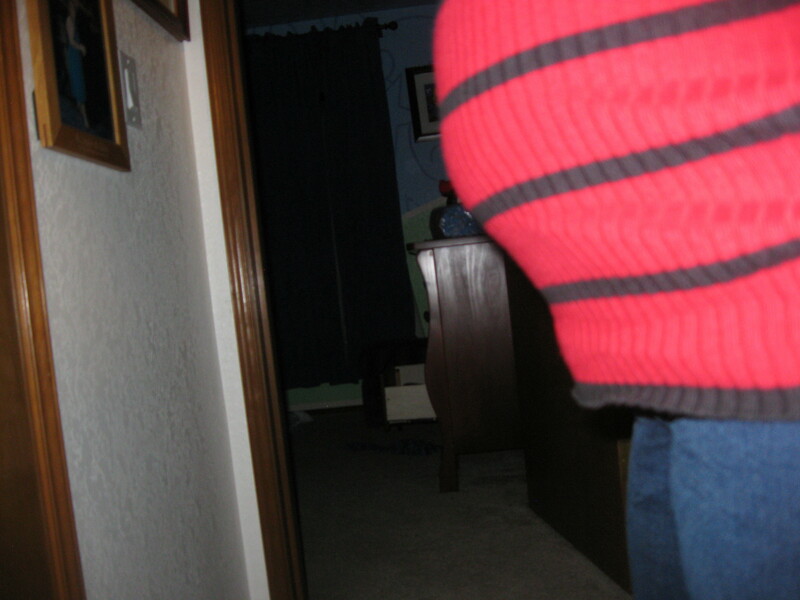 Mommy is very pregnant, Josh is very stinky, and our four year old was there to capture this magic moment. I’m sure my wife will be thrilled that I shared this on the internet. That’s it for now, more toddler shots next week. Josh (age 21 months) pauses from his granola bar to snap a few shots. It’s that time again, Toddler Photography Friday! 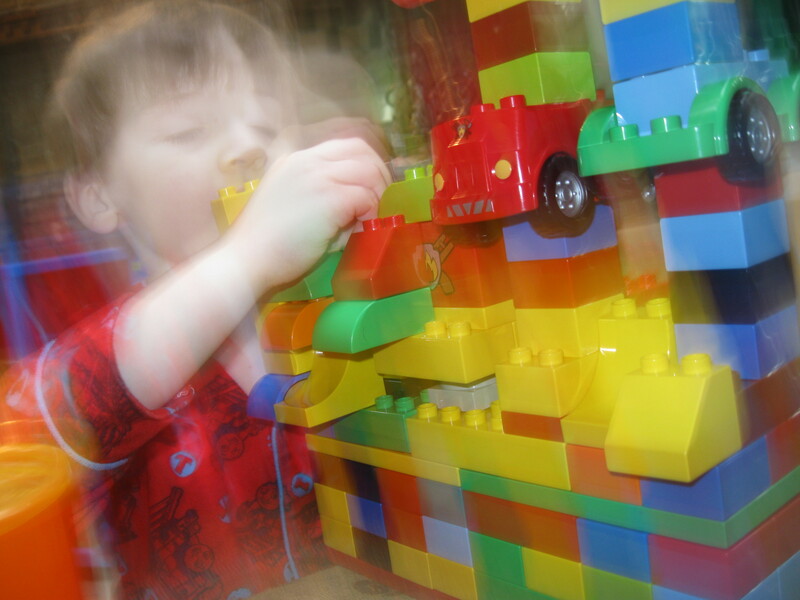 More photos from my pint sized shutterbugs! I’m not sure whether Zack intended to take this picture, or if he was just having fun torturing his captive brother with the camera flash. Either way, the end result still turned out pretty good. 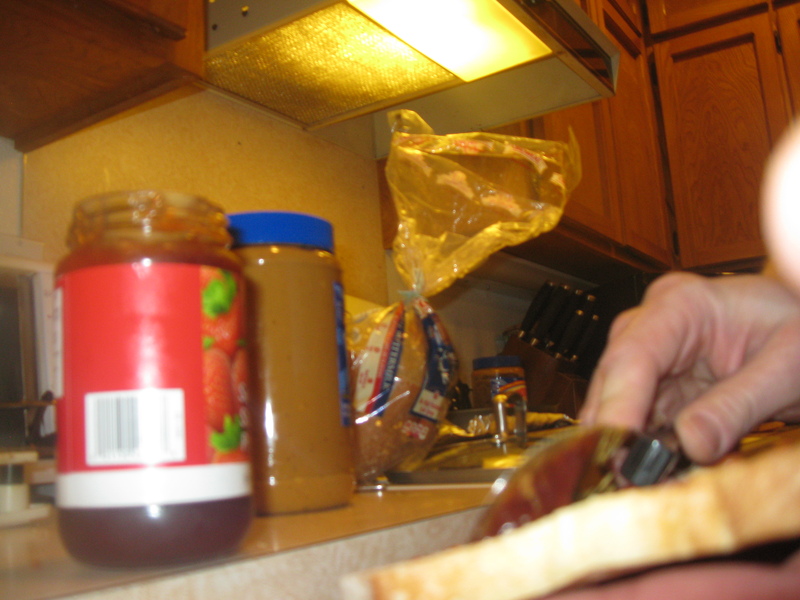 An impatient kid’s eye view of his Dad making PB&J’s for lunch. Don’t worry, Josh isn’t freakishly tall for his age, he was standing on a dining room chair when he took this. 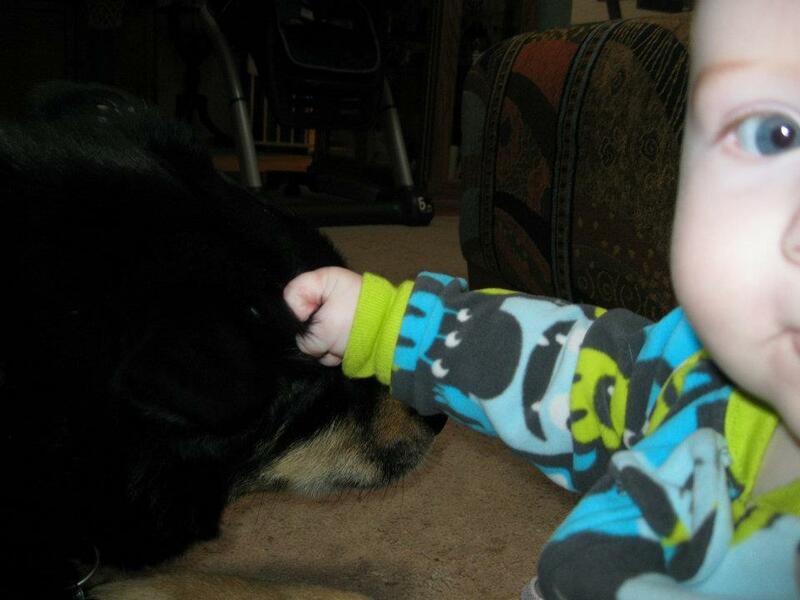 Zack takes a pic of little brother “petting” our unfortunate dog Zeke. Luckily for us, Zeke is very patient and just laid there letting the baby pull out clumps of hair. He eventually escaped to the backyard and all his bald spots grew back nicely. Who needs filters? Josh shows off his patented technique of spinning the dial on the camera knob and then taking pictures with it on it’s “landscape” long exposure setting. For added effect I think he licked the camera lens right before he took this (I have to clean the boys’ camera often). Well, that’s it for now, more toddler shots next week. 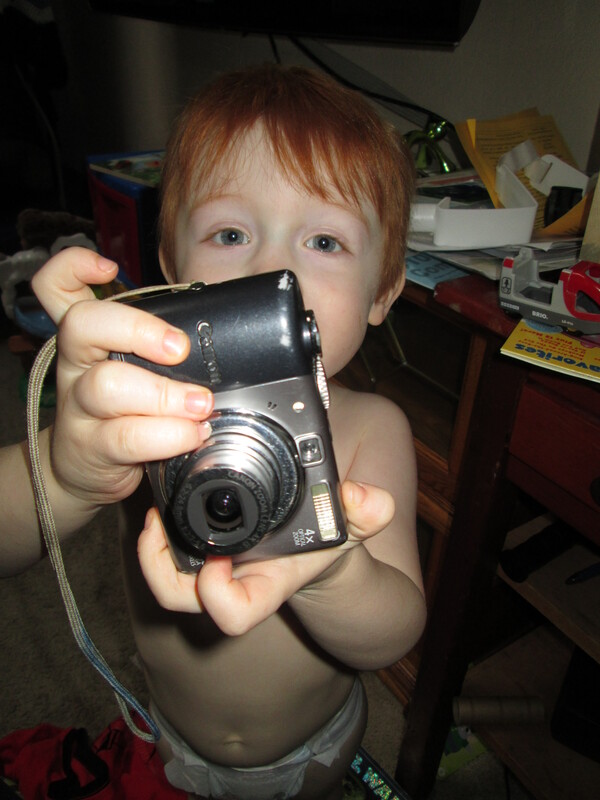 Zack, age 3, armed with the “old” camera we let the boys use. 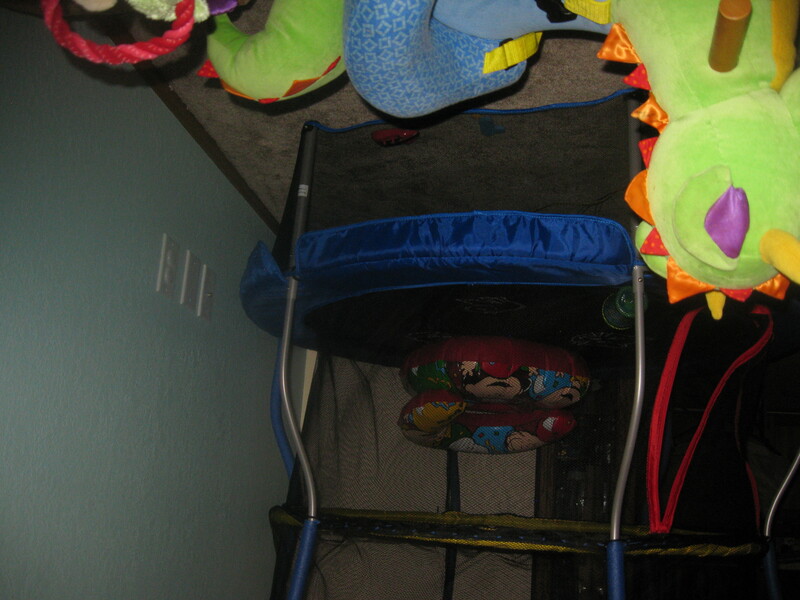 “Inverted Trampoline” Taken by Josh, age 19 months. I had to check a couple times to make sure that, yes, this picture is not upside down. 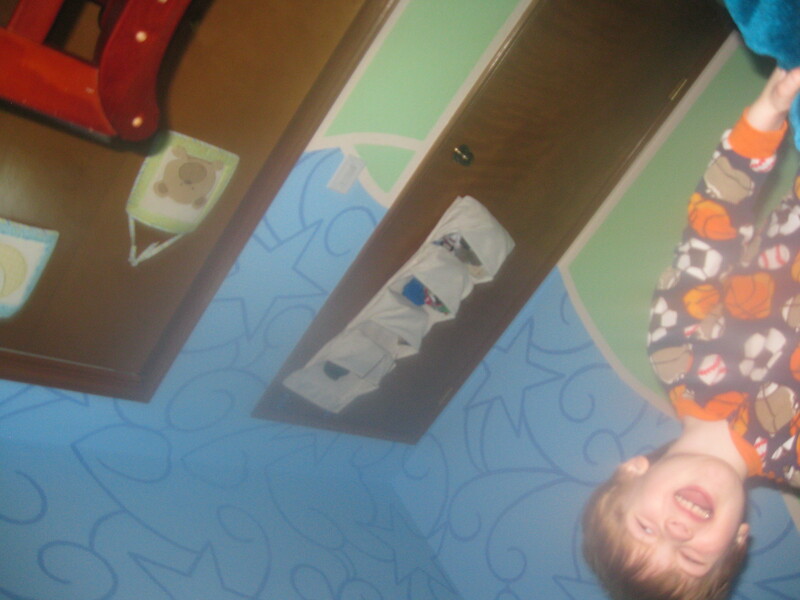 Either Josh was holding the camera upside down or he was standing on his head (which he is known to do). “Happily Captured” taken by Zack, age 4. I’ll never understand little boys obsession with laundry baskets, but Josh doesn’t seem too upset to be sandwiched between two of them. 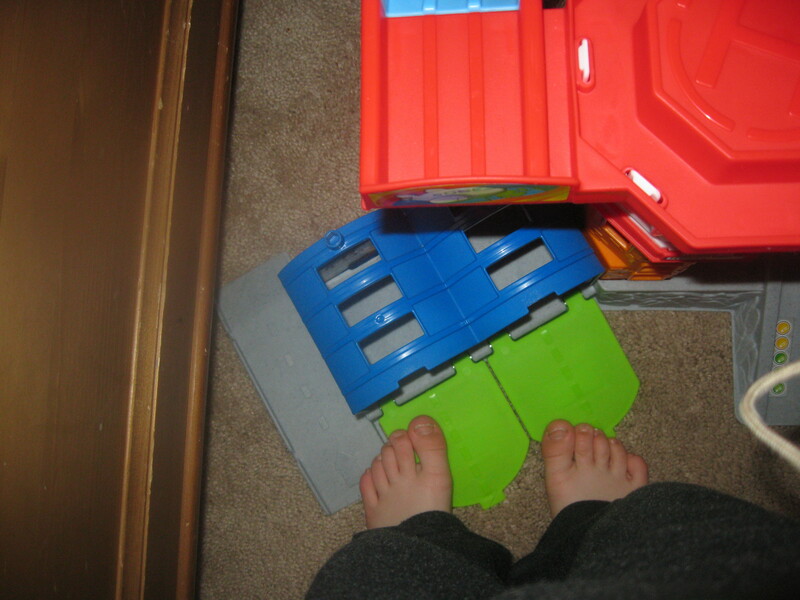 “Tyrannosaurus Josh Stomps A Tiny Airport” Taken by Josh, age 21 months. His path of destruction needed to be documented. Those little people toys didn’t stand a chance. 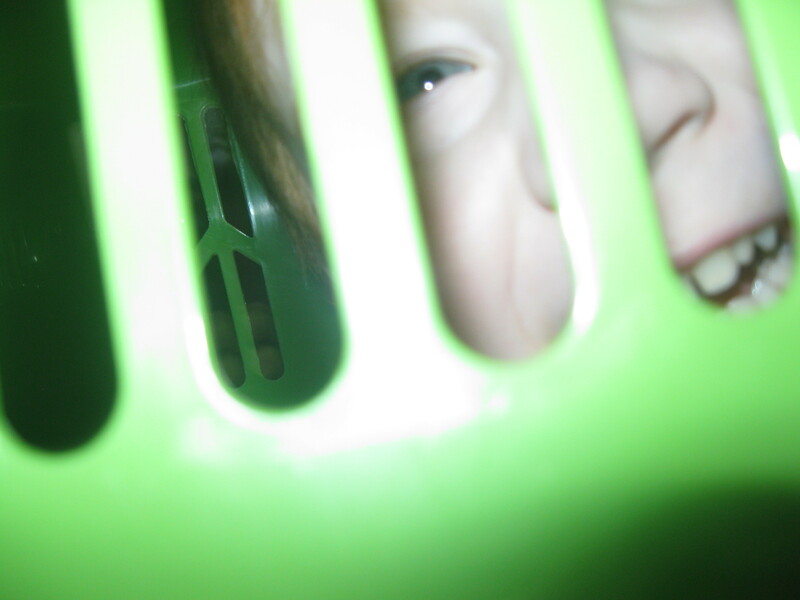 “Stroller-Cam!” Taken by Zack, age 2 1/2. 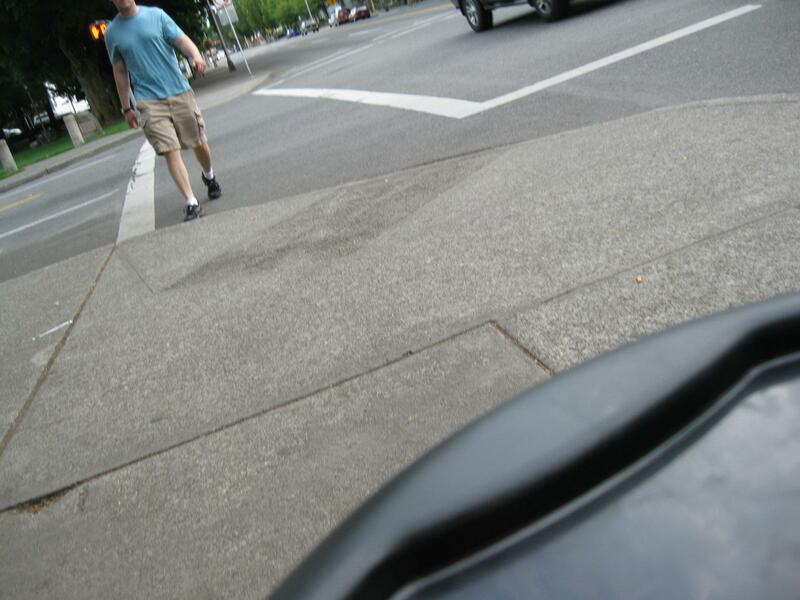 I’m not sure why Zack snapped this picture, but if you’ve ever wondered what the view from a jogging stroller looked like, now you know. Our youngest photographer takes aim at Daddy. 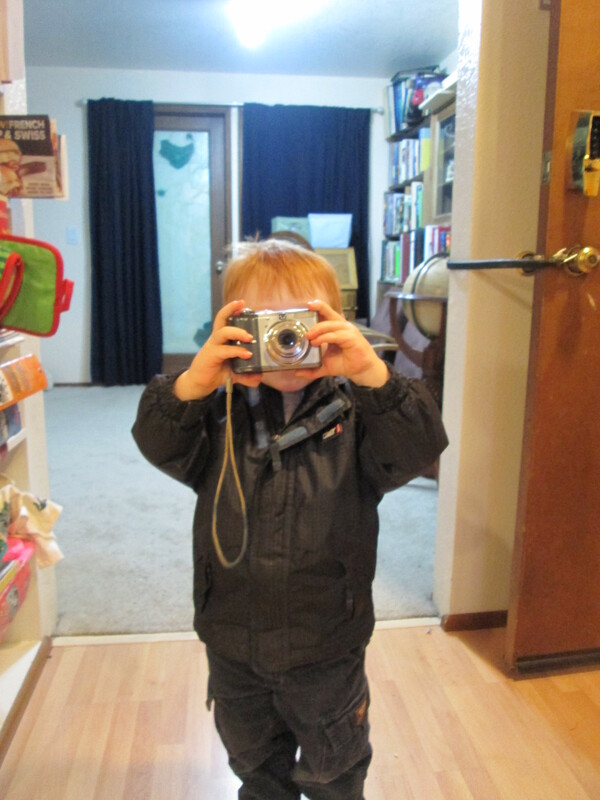 We take lots of pictures around here, so it’s no surprise that our son’s Zack and Josh are obsessed with our camera. On several occasions they’ve stolen it and then proceeded to run around the house like crazed lunatics taking “Toddler Photography” photos of whatever captures their interest at the moment. This is the picture that Josh took of me. Each of them has a different technique. 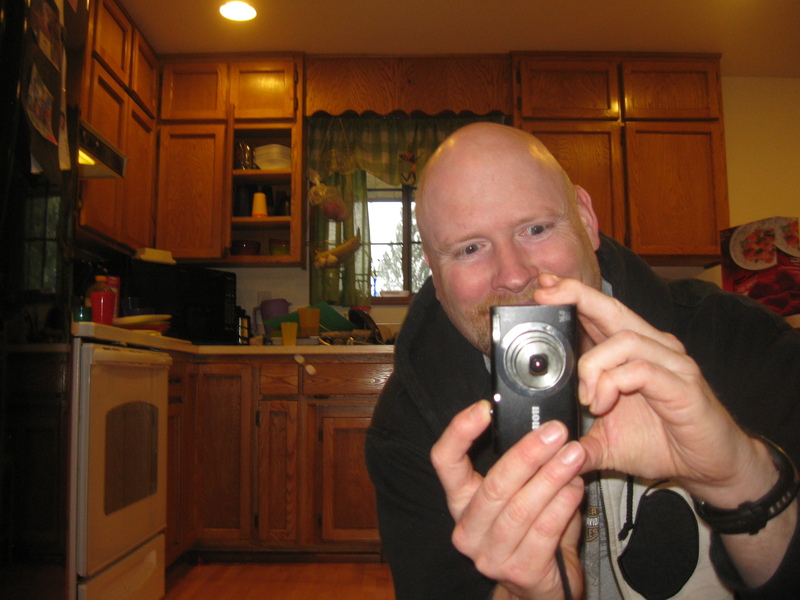 Josh loves to carefully aim and focus, and usually takes still-lifes or extreme close-ups of items around the house (and then laughs maniacally after he takes each picture). Zack does what we call “shotgun photography” holding the camera way out in front of him and snapping haphazardly at pretty much everything. We end up with tons of strange pictures, but on occasion he gets some really cool shots. 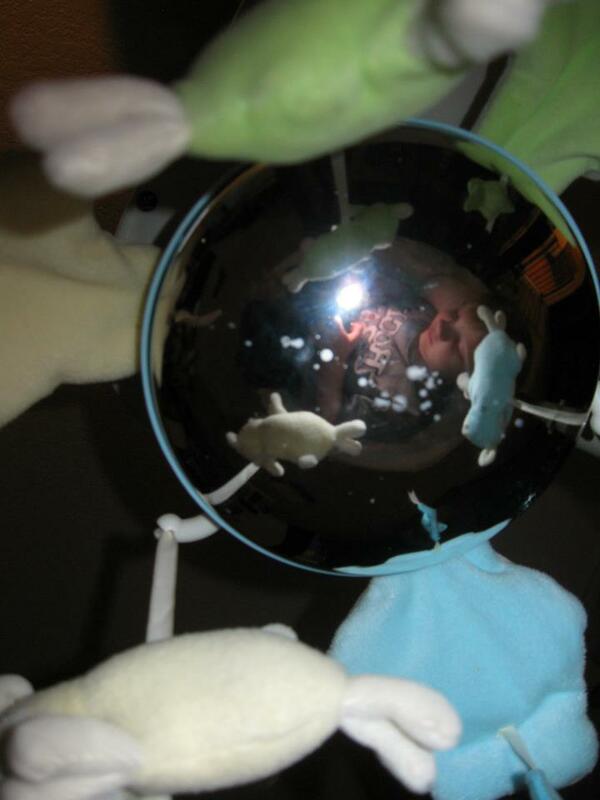 When Zack was 1 1/2 he climbed into his brother’s baby swing and inadvertently took this self portrait looking in a convex mirror. It’s interesting to see the world from their unique point of view. 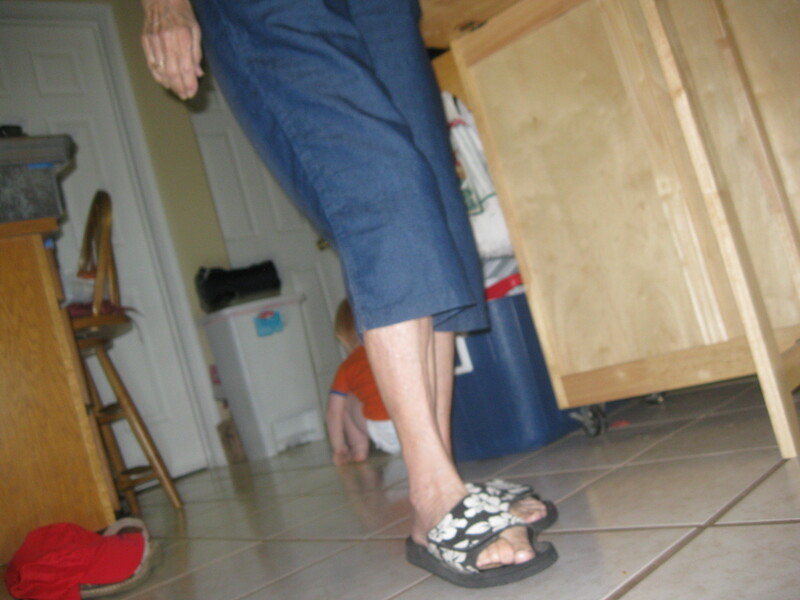 My kids are pretty prolific little photographers (they’ve taken over 200 pictures in the last month alone), so I thought it would be fun to share some of their “Toddler Photography” each Friday. 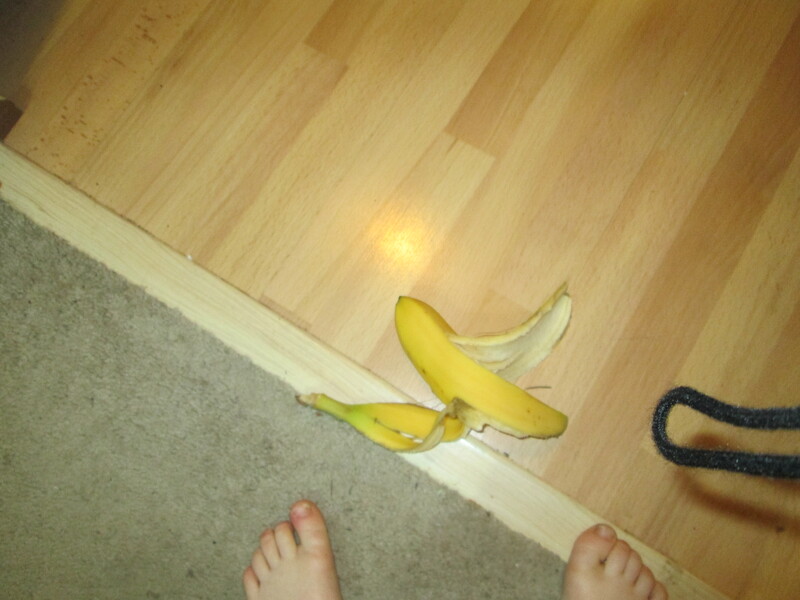 Josh decided the banana he dropped on the floor needed to be documented. These pictures are taken by Zack and Josh themselves. I don’t tell the boys what to photograph and other than an occasional crop, I haven’t altered these photos in anyway. 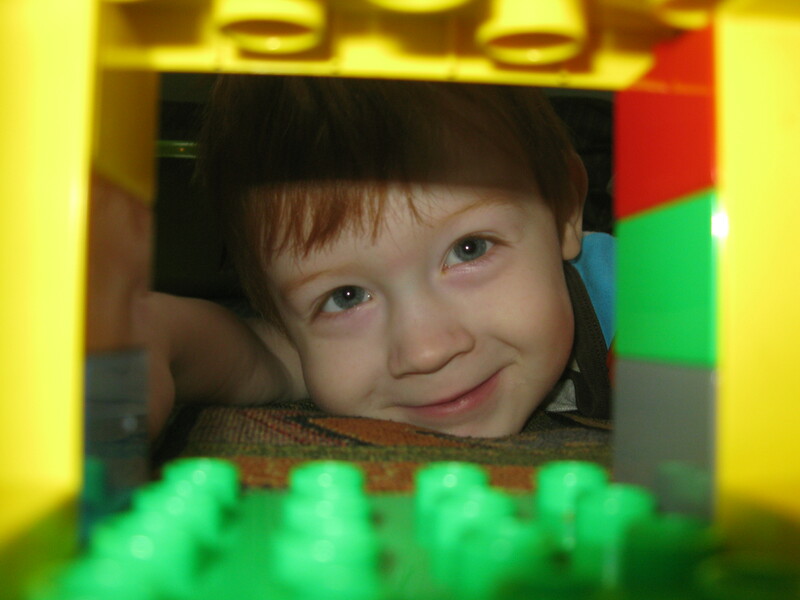 Another shot by Zack, this time looking through his Lego house at his brother on the other side.